When it comes to ordering a Bill of Materials there are a surprising number of options. Three to be specific. This might seem overkill to some people, but BOM ordering is a pretty important topic. So there are couple of different mechanisms used to fit the various requirements. Hopefully, you will find one that is right for you (because the engineering team doesn’t want to write a fourth). Let’s start with the most inflexible. Strictly speaking, this is for cases where there is an assembly sheet with bubbles calling out each part detail. The parts list on the sheet is basically an ordered list of the called-out components. Vault preserves this data in the BOM as the Detail ID. One interesting aspect of these Details IDs is that they are specific to an occurrence within a BOM. This means that a given part may have different Detail IDs in different BOMs even if the parent/child relationship is the same. Another aspect of detail ID is that it’s strongly tied to the CAD file. Items created in the Item Master will not have these values. Detail IDs can only be created or edited through the BOM pipeline. So if a value needs to be updated, it requires checking out the file, modifying the CAD data, checking the file back in, and updating the item. Much like Detail ID this is a string value that identifies a BOM row. The main difference here is that position number can be easily edited in Vault. It’s not tied to CAD data, so it can be set on Items not created from a file. Lastly, it is not occurrence based, which means the position number is the same for each parent/child relationship regardless of which BOM it shows up in. The default Position Number is a copy of the Detail ID, if it exists. 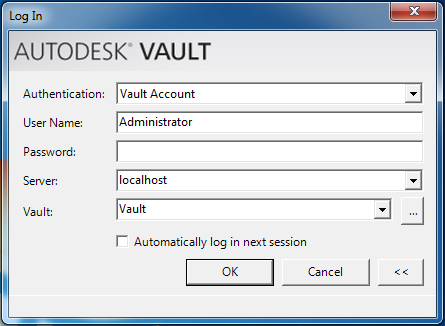 Although you can edit the value in Vault, chose changes may get overwritten the next time the item gets updated from CAD. Ideally Position Number should be used when you want Detail ID behavior on an item with no Detail ID. NOTE: Even though the word number is clearly in the title, the data type is a String. This happens a lot with Vault Items for some reason, like with Item Number. Row Order behaves a lot like Position Number but with two main differences: Row Order is an integer, and Row Order does not get overwritten during an update from CAD file operation. This value is fully controlled in Vault, with minimal connection to CAD data. It’s great to use when you want your Row Order to have no other meanings. It doesn’t represent callouts in a drawing, or an ID in an external system. It’s just the order you want your BOM to be in. Row Order is the only one of the three that is guraranteed to have a value. So it's a good default mechanism to use if you don't know which one to pick. But beware, the values are not guaranteed to be unique (the same is true for the other two systems). If you want to read the Detail ID, you need to read the occurrence data from a BOM. When calling GetItemBOMByItemIdAndDate make sure to pass in ReturnOccurrences as one of the BOMViewEditOptions. If you do, you should get back an array of ItemBOMOcc objects. The Val property on this object is the Detail ID. Both Position Number and Row Order can be read on the ItemAssoc objects in an ItemBOM. Row Order is the BOMOrder property, and Position Number is the PositionNum property. To update Postition Number or Row Order, use the UpdateItemBOMAssociations function. The VDF tracks two types of properties: client properties and server properties. If you have been using the web service API for a while, you are probably already familiar with server properties. But client properties is a new concept in the Vault API. 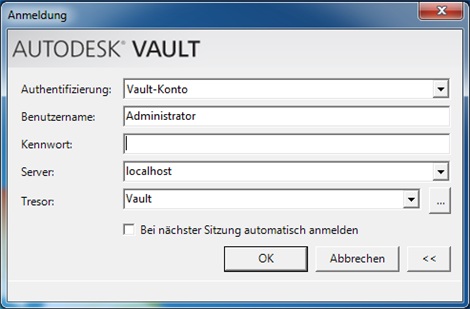 Both client and server properties are displayed in the Vault grid controls. As an end user, you probably didn’t care which was which. But if you program with the VDF, you will start to notice and appreciate the differences. These are properties that live on the server. If you want to interact with these properties, it involves a web service call. Likewise, adding a new property is done by making web service calls. A server property value will be the same for all users. Lastly, server properties are indexed and can be used in a search. These properties are set by the client and are not known by the server. Since the server doesn’t know about these properties, it can’t index or search on them. You interact with client properties through the VDF. 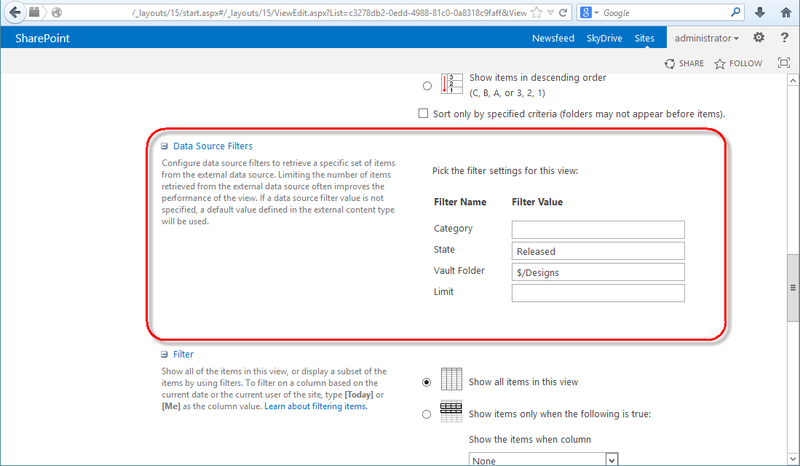 You can add your own properties by implementing an interface and registering it with the VDF. I’ll cover that in another article. Client properties may have different values depending on the user. The file status icon is a good example. One user may see a file as "out of date" while the other sees it as "no local file". You can tell if a property is a client or server property by checking IsCalculated on PropertyDefinition. That’s the VDF PropertyDefinition class, which is in Autodesk.DataManagement.Client.Framework.Vault.Currency.Properties. Not to be confused with the web service class in Autodesk.Connectivity.WebServices.PropDef. Anyway, if IsCalculated is true, then it’s a client property. Since you can define your own client properties, the possibilities are limitless. Out of the box, here are some of the ways that client properties are used. Mixing client and server data - The algorithm involves grabbing some server data, cross-referencing it with local data and displaying a value unique to the current user. Examples include the File Status Icon and the File Extension Icon. Modification of server properties - This is basically a server property displayed it a different way. 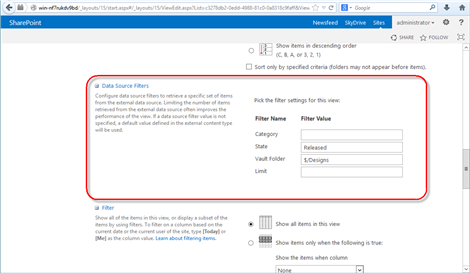 Examples include (Date Only) and (Time Only) properties and the Entity Icon. Display of non-property server data - Sometimes data from a server is not a property but you want to show it in the grid. The Path property is a good example. When it comes to API/customization features, I think of things in terms of 3 buckets: Supported, Unsupported, and Forbidden. Let me explain what these things mean and how they apply to the PLM 360 API. Supported means it’s publically documented. If you run into difficulties, you can expect help. If you run into defects, you can expect them to be addressed. If an API changes, you can expect proper notice. In the case of PLM 360, it’s easy to tell what is supported. If it’s part of the public documentation, then it’s supported. If it’s not part of the public documentation, then it’s not supported. Unsupported means “use at your own risk”. Undocumented functions are the best examples of this category. It’s something that you technically can use, but don’t expect help or documentation. Things can change without notice. In the cloud world, I highly recommend you avoid using unsupported APIs. For an installed product, these features are less risky because you control the upgrade. You are control when the upgrade happens and can roll back if something goes wrong. PLM 360 doesn’t give you that flexibility. If you use an unsupported API, you may find that your app, which was working on Friday, doesn’t work any more on Monday morning. For PLM 360, the undocumented REST URLs fall into this category. There are actually parts of REST v2 that are undocumented, so don’t assume that everything with /api/v2 in the URL is supported. Forbidden means we at Autodesk don’t want you touching a certain part of the system. This includes things that violate the license agreement (like reverse engineering) and things that violate data integrity (database modification in Vault). For the PLM 360 API, forbidden mainly applies to security features and things that are blatantly illegal. Attempts to circumvent our security system and misuse of user data fall under this category. If you are ever in doubt, ask. We will be happy to point you in the right direction. The PLM 360 API, like most REST API’s, have a version component to their URLs. However, the meaning of the version changes from system to system. So let me explain what that version means for the PLM 360 API. The API version is the part you see in the URL for a REST call. So if you are getting a list of workspaces from https://mytenant.autodeskplm360.net/api/v2/workspaces/, 2 is the API version number. In PLM 360, this number identifies a compatible API set. In other words, v2 will maintain compatibility as new releases of PLM come out. Things may be added to REST v2, but existing content will still work the same as before. At some point in the future, there will be a v3 API, which will probably not be compatible with v2. When new API versions are introduced, they will live side-by-side with existing API versions. This gives developers ample time to move their code to the latest API version. Here is a rough diagram of what I’m talking about. There is no set time for any of this. The v3 API may come out in a year, two years, or maybe never at all. Likewise the end-of-life for v2 is not set either. It may be a year after v3 comes out, or two years, or maybe never. All I can say is that the end-of-life for an API version will be announced ahead of time. The product version for PLM 360 gets updated for every major PLM 360 release, which happens about every month. You can easily find the current version by going to /version.txt on your tenant. At the time of writing, 9.1 is the current version. When PLM updates, new features may be added to the API. So if you want to name a specific API schema, you need to include both the API version and the product version. For example, “API schema 2:9.1” or something like that. Most of you shouldn’t have to care about exact schemas. The API version is usually sufficient. However, I do recommend that you record the current PLM 360 product version somewhere in your code and/or readme documentation. It will be a helpful data point if you run into issues later on. Is using a cloud API really any different than any other client/server API? If you have developed with the Vault API, then you should already be familiar with many of the core concepts. Things like latency, user permissions and multi-user environments all still apply to the cloud. So is the cloud just a larger scale version of client/server programming? No, there are some fundamental differences. Differences that need to be accounted for in your code. When a new version of PLM 360 goes live, customers have no choice but to accept the new version. For the end-user, this is usually a good thing. At the API level, it adds an element of instability. Gone are the days where you get your customization running and breathe a sigh of relief, knowing that things are working and stable for the next year or two until the next upgrade. PLM 360 upgrades are about every 4 weeks, and everyone gets the update. These upgrades are not something you can plan for like with installed software. For example, a typical Vault upgrade involves the admin testing the new version, then planning when the upgrade should take place. PLM 360 is not like that. It updates without warning, so you can’t plan for it. And you definitely can’t pick the date. Once the PLM 360 upgrade happens, that’s it. You can’t go back to the older version. In fact, the old version doesn’t even exist anymore. This fact adds an extra complexity to debugging. If you notice a new bug, it’s hard to determine if it’s because of a PLM update or if it’s a bug that was always there, and you just never noticed. With a desktop app, you could always install the prior version and get a definitive answer, but you don’t get that with the cloud. Sometimes it’s not a bug, but your app is... different. For example, the data is being displayed differently or a command has different results than before... you think. Again, it’s hard to know if it’s because of the PLM update or old age. Here are some pieces of advice for working with a cloud API. If you have an more advice, let me know in the comment section. Forward Compatibility - Your code should always expect the unexpected. Avoid assumptions as much as possible. 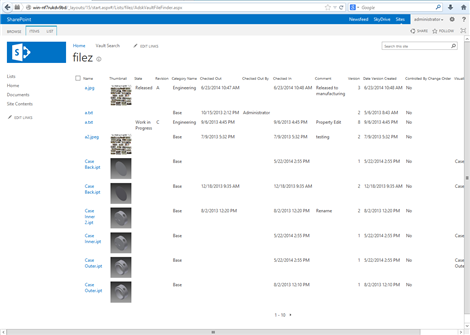 For example, PLM 360 currently has 6 types of workspaces. Next week, it may have 7. You code can’t crash if it comes across a workspace type it has never seen before. Smoke Tests - Create an automated test of your app’s functionality. The advantages are numerous. You have an easy way to spot issues before users do. You have a mechanism for pinpointing the exact failure. Saving the smoke test results gives you a document of how things worked in past PLM 360 versions. Documentation - Be thorough in documenting your app’s behavior. Record videos if you can. If not, then take lots of screenshots. Again, the goal is to have something to reference if you believe there is a change in behavior. Obviously, we here at Autodesk also want your apps to be as stable as possible. Here is what you can expect from us. Backward Compatibility - Just like your app needs to be forward compatible, the PLM 360 API needs to be backward compatible. Although content will be added to REST v2, existing content will not be changed or removed. If a situation arises where the data model needs to change, that new model will go into REST v3. Defect Fixing - If you believe there is a defect in the API, let us know. One of the major advantages of the cloud is the ability for us to fix defects quickly. Developer Services - We are working on some initiatives that should alleviate some of the pain points that I mentioned. But, I can’t say anything more at this time.